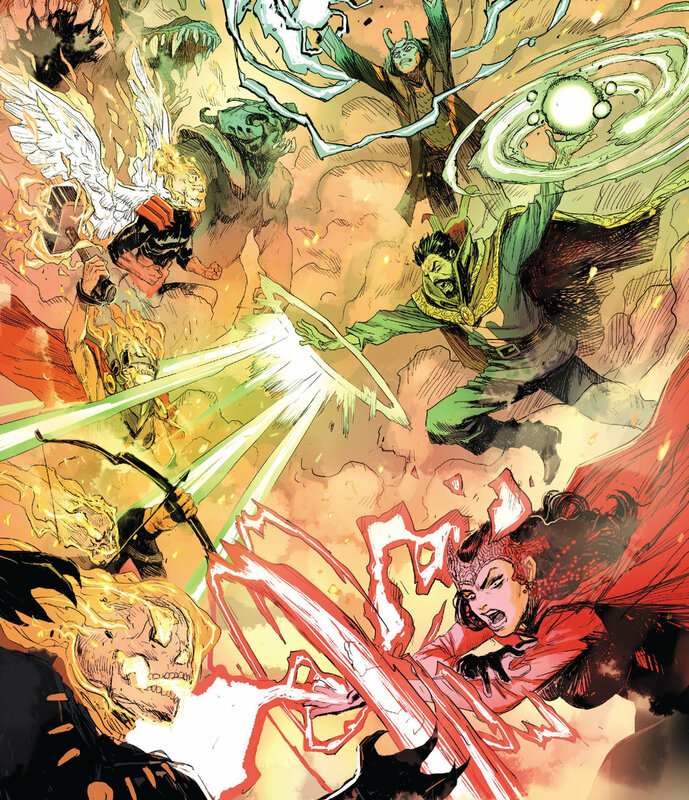 Damnation so far has proved to be a damn good event with some great tie-ins Doctor Strange, which probably comes from the fact that Cates writes both. While Doctor Strange has been consistently good since Cates took over writing, it could be argued that this is his strongest issue yet. This issue serves to catch Strange up to what the readers already know, that Wong and Bats have assembled a team to help in Vegas. But what comes in that revelation is a big suprise return of a character and a team up that would read as a great full series run. But then with Cates,being the genius that he is, throws us a big twist in the midst of all that. Cates has really deconstructed Strange in a way where things can’t seem to go right for him at all, and this issue really builds on if he really is alone or not and if he truly has any real friends. 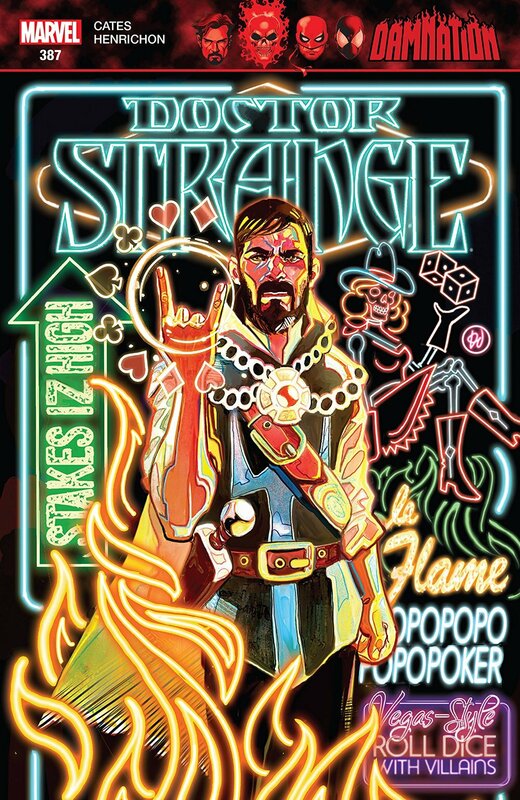 Strange is a deeply flawed character which is what makes him fun to read, he’s the guy that can do almost anything power wise but outside of that he really messes his life up more than he helps it. This run is also beautifully contributed to with some great gritty art and coloring that work perfect with this arc, more so than the last arc.